So for the longest time my skillet cookies were coming out a bit dry. I couldn’t figure it out at all. Well this last time I was making the cookie I realized I was putting to much flour in my cookie dough! As soon as I cut it down, I had a perfect cookie every time! 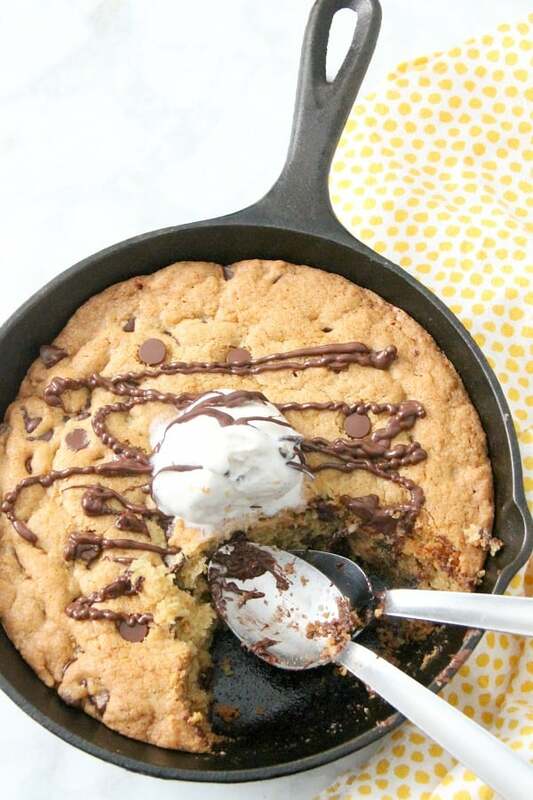 Making a basic chocolate chip skillet cookie is a must to have in your arsenal of cookies! 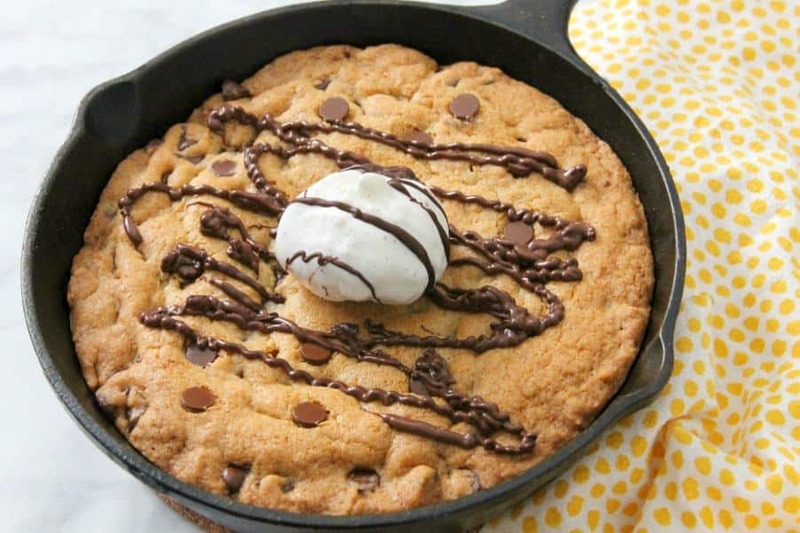 Just in time for Easter I made this Malted Chocolate Chip Skillet Cookie! 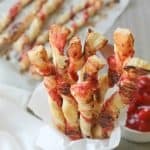 It’s perfect for using up leftover candy as well! 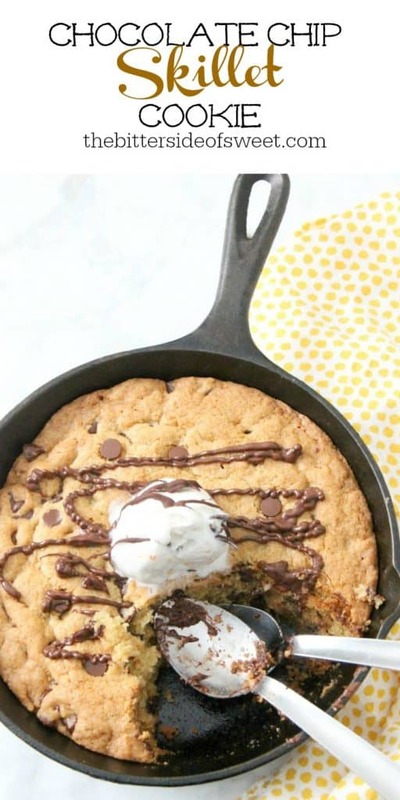 Warm chocolate chip skillet cookie. 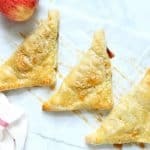 Perfect for feeding a crowd or just two! Preheat oven to 325° degrees. Spray 6 inch skillet with non stick spray. Set aside. Want more skillet cookies? Here you go! 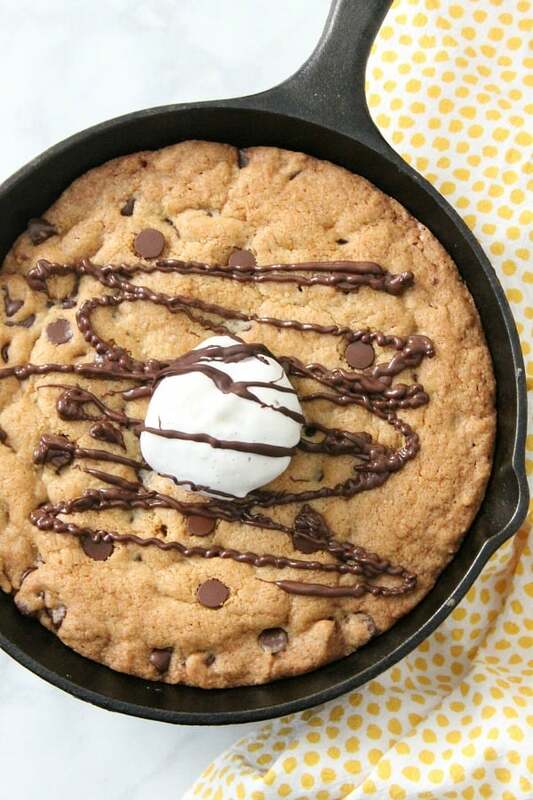 Bacon Chocolate Chip Skillet Cookie, adding bacon sounds like a great idea! 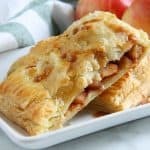 The mix of sweet and salty is perfect! 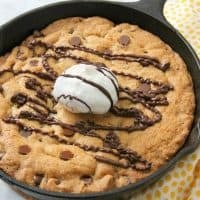 Birthday Skillet Cookie this cookie is so fun! 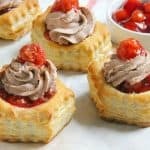 I could see my girls loving all over this one! Monster Cookie Cake I love add all kinds of things to my cookies so I know this would be a hit!